Get ready racing aficionados, zombie slayers, sports fans, warriors and entertainment lovers. The Xbox team is planning one of the biggest entertainment premieres of the year to celebrate the launch of Xbox One with Xbox fans around the world, when it launches next Friday, Nov. 22. In a spectacular worldwide countdown, global launch celebrations will usher in a new generation of games and entertainment alongside Xbox fans around the world, who have been eagerly waiting more than eight years for the next generation of the most popular games console with 80 million Xbox 360 consoles sold worldwide. More than 10,000 retail locations in 13 countries will open their doors at 12:01 a.m. on Nov. 22 to welcome fans amidst great fanfare. Festivities will kick off in major cities around the world, starting in Auckland, NZ and continuing through Sydney, London, New York City and Los Angeles, uniting fans who have come together to celebrate the availability of Xbox One. The celebrations will be showcased in a live broadcast airing on Spike TV, beginning at 11 p.m. ET/8 p.m. PT, also on Xbox.com and on Xbox Live. Marquee global launch events are planned in major cities worldwide, including New York City, Los Angeles, London, Berlin, Paris, Vienna, Sao Paulo, Toronto and Sydney. In the U.S., the ultimate midnight celebration will take place in Times Square in New York City. The world of Xbox One will come to life as zombies, Roman soldiers and supercars converge on the Best Buy Theater, where awaiting fans will be among the first in America to receive their consoles and countdown to midnight with great games, entertainment and special surprises. The pinnacle of the evening will be a performance by Macklemore and Ryan Lewis in the Best Buy Theater, attended by 1,000 lucky fans who will experience the ultimate Xbox One launch. The first 1,000 people in line outside the Best Buy Theater in Times Square who purchase an Xbox One or Xbox One game will enjoy the concert in-person and the opportunity to enjoy special gameplay experiences with Forza Motorsport 5, Ryse: Son of Rome, Dead Rising 3, Killer Instinct, and other Xbox One game titles. Special guests will be present, including Stallion83, who is nearly achieving a 1 million Xbox Live Gamerscore and developer partners from some of the most hotly anticipated Xbox One games. 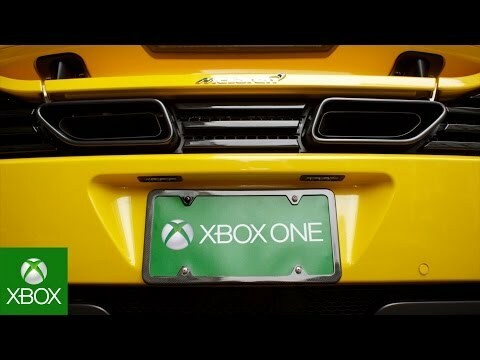 On the west coast, Xbox fans in Los Angeles are invited to make history at Milk Studios, which will be transformed into a gamer haven, with gameplay stations for Forza Motorsport 5, Ryse: Son of Rome, Dead Rising 3, Killer Instinct, and other Xbox One game titles. Fans will countdown to midnight amidst killer games, entertainment and special surprises. The first 500 people to purchase an Xbox One or Xbox One game will enjoy an exclusive concert with deadmau5. If you’re eighteen or older, make sure to get to the Best Buy Theater in NYC’s Times Square and Milk Studios in LA early. Pre-purchase begins at 8 a.m. in NYC and 10 a.m. in LA. Doors open at 9 p.m. in NYC and 6 p.m. in LA. For more information, go to xbox.com/launch. Retailers around the world are planning exciting activities to celebrate with Xbox fans – ranging from free giveaways to entertainment on-site to visual spectacles – all in celebration of Xbox One. Retail partners including Best Buy, EB Games, FNAC, Gameans, GameStop, Media Mrkt, Sam’s Club, Saturn, GAME and Tesco will be keeping their doors open past midnight for fans to purchase their Xbox One. In the U.S., fans can check with any of these retailers to participate in their Midnight Madness events: Best Buy, GameStop, Walmart and the Microsoft retail store. Also, fans are invited to show off their gaming prowess by entering one of the midnight Killer Instinct tournaments in six select Microsoft stores, full details here, in addition to celebrations at all of their more than 75 retail locations. Launch night officially kicks off in New Zealand where, in partnership with EB Games, Xbox will throw a massive Midnight Madness event at Shed 10 in Auckland for fans, partners and press to play Xbox One launch titles, enjoy music and DJ sets and enter to win an Xbox One. Shortly after, Australia will light up the iconic Sydney Harbour for the launch of Xbox One. With the Sydney Harbour Bridge and the Sydney Opera House as a backdrop, Xbox will host a midnight event to celebrate with fans. As launch night continues across the globe, some of the world’s most iconic cities will be transformed to celebrate the launch of Xbox One. In Europe, gamers, fans and YouTubers alike will gather in Central Paris and Berlin respectively to experience the Xbox One launch line-up. Skin and Emis Killa will help usher in the new generation at an exclusive launch event in Italy, in partnership with MTV, and fans in Spain can play Xbox One games in Madrid’s Colon Square. The UK will celebrate the launch of Xbox One in Central London at an event featuring many surprise performances, celebrity appearances and gameplay. After the live event, attention turns to Area One in London where fans can play Xbox One games while waiting for a special midnight store opening. Other landmark events are planned in Austria and Ireland counting down to midnight and drawing celebrations with friends, partners and the loyal Xbox community. And, finishing up its nationwide One Source tour, a colossal Xbox One will make its final stop in Toronto launch night bringing with it surprises, giveaways and more incredible experiences for Canadian gamers. Xbox One will launch around the world in 13 markets, including the U.S., Canada, Mexico, Brazil, Australia, New Zealand, UK, France, Germany, Spain, Italy, Ireland and Austria.